Meaning of Extension .kz is the official country domain (ccTLD) from Kazakhstan. 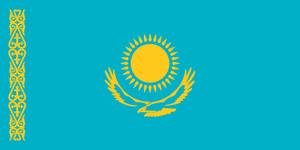 .KZ domains must be tied to servers that are located on the territory of the Republic of Kazakhstan. This can be a web, mail or nameserver. Please contact our support to set up a forwarding on these nameservers. If the current registar is KAZNIC, you get the Authcode only on written request. Registrant of the domain name should submit an official request to KazNIC for getting a password (transfer key) for transfer to another registrar, there should be indicated e-mail, where a password (transfer key) will be sent. If registrant of the domain is a legal entity then a letter should be prepared on a company letterhead, certified with company seal and signature of the manager with details of name. If registrant of the domain is an individual person, he should send to KazNIC a signed letter with a request for a transfer key and a copy of identity card. After then you should send a transfer key to a new registrar.